Indulge your skin with intense hydration that helps restore elasticity and improve texture. 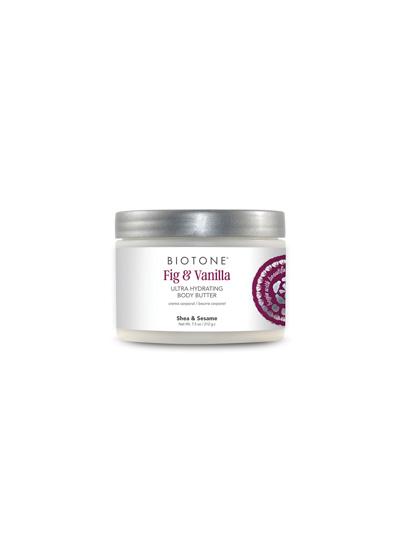 This luxurious body butter contains natural oils of Shea Butter, Sesame, Avocado and Sunflower to lock in moisture for long-lasting hydration. Rich botanicals of Chamomile, Lavender, Melissa and Passion Flower work to dramatically transform skin to a younger glow. Use all-over for a healthy, hydrated look and velvety-smooth vitality. Warming aromas of Fig & Vanilla enhance the senses.